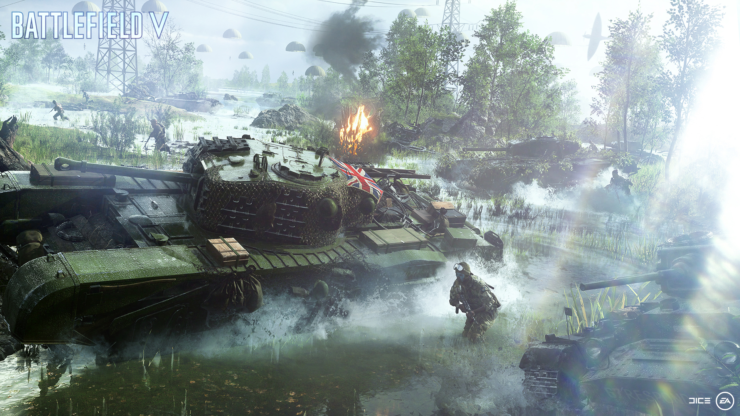 Battlefield V PC will see DICE partnering with NVIDIA for a change after DICE partnered with AMD for many years. 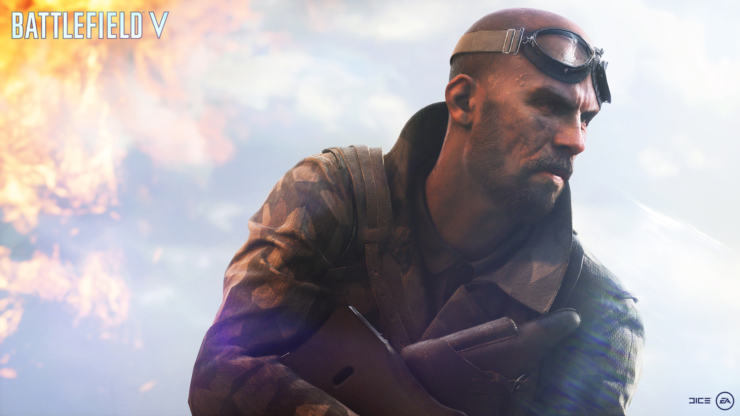 As the PC platform, we’re helping the Battlefield V development team create the definitive PC experience. 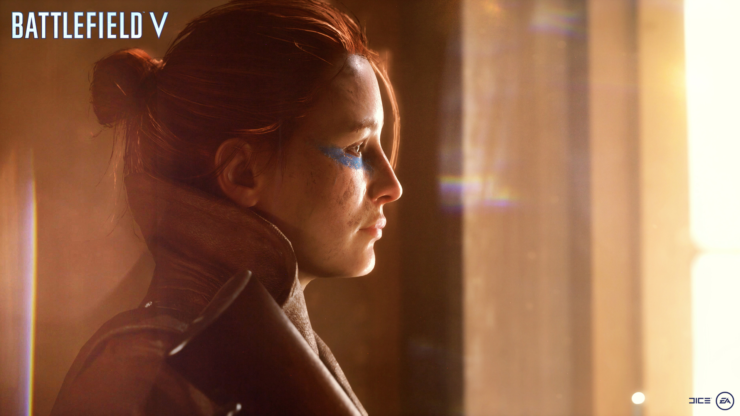 NVIDIA engineers are working with the Battlefield V developers at DICE to bring the best aspects of the GeForce gaming platform to bear for PC gamers, meaning GeForce Experience will deliver Game Ready drivers, Optimal Playable settings, and other NVIDIA-platform features for Battlefield V. In addition, we are working on integrating cutting-edge technologies, optimizing performance, and creating the definitive PC experience. 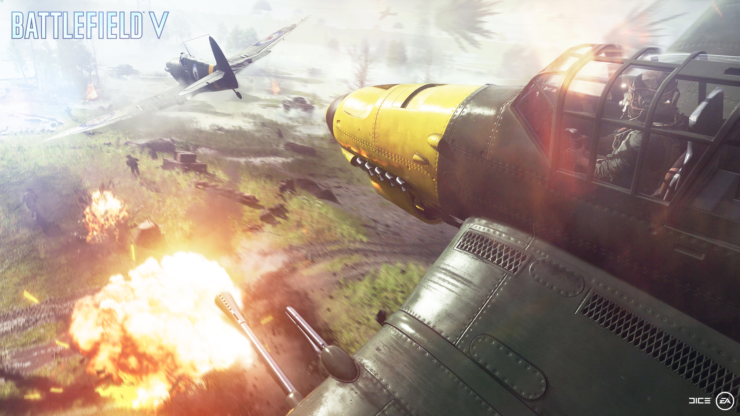 It sounds like there may even be NVIDIA GameWorks features available in Battlefield V PC, though they haven’t been confirmed yet. 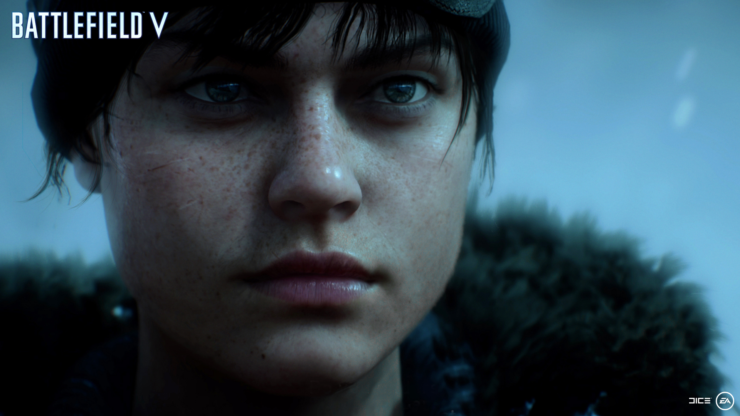 Interestingly, the reveal trailer was deemed to be representative of the Xbox One experience by the developers, suggesting that Battlefield V PC could look much better at maximum settings. 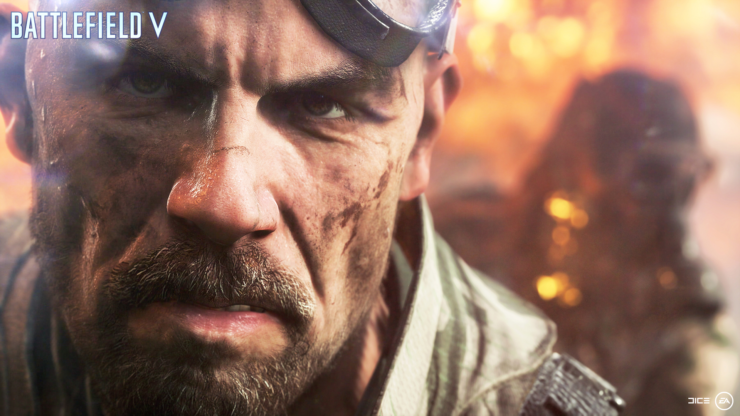 Battlefield V is due to launch on October 19th, exactly one week after Call of Duty: Black Ops III and one week before Red Dead Redemption 2 in what’s going to be the hottest October in many years when it comes to game releases. 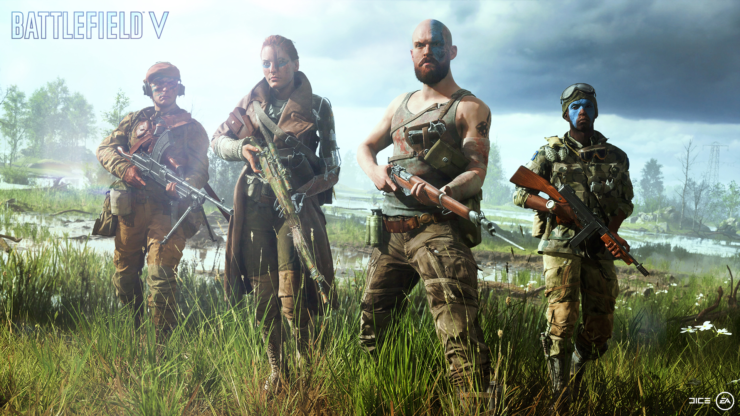 Pre-ordering the game will grant early access to the Open Beta, as well as Special Assignments, a Special Soldier Set that can be chosen from eight available Sets in Battlefield V and immediate access to five Battlefield 1 weapons. 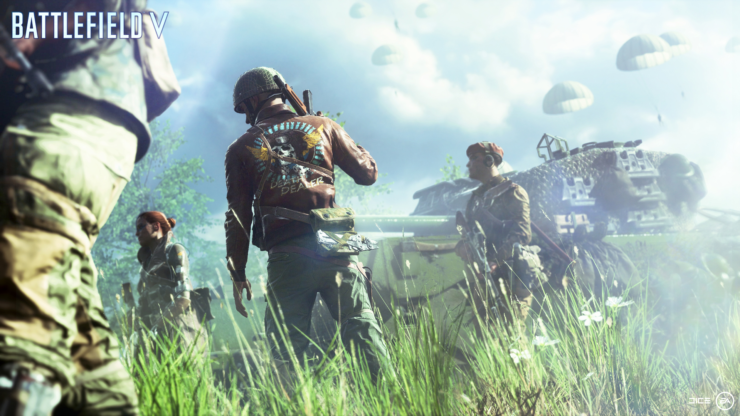 If you go one step further and pre-order the Deluxe Edition, you’ll receive the following items in addition to early access to the Open Beta. 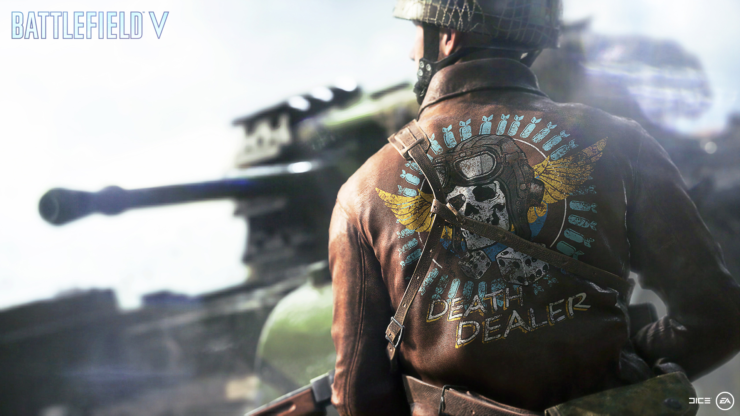 • Five Sets of Paratrooper Outfits: Battlefield V Deluxe Edition lets you customize your soldiers with five Special Soldier Sets containing stunning weapon skins, camo patterns, headgear, and face paint for British Special Air Service and German Airborne troops. 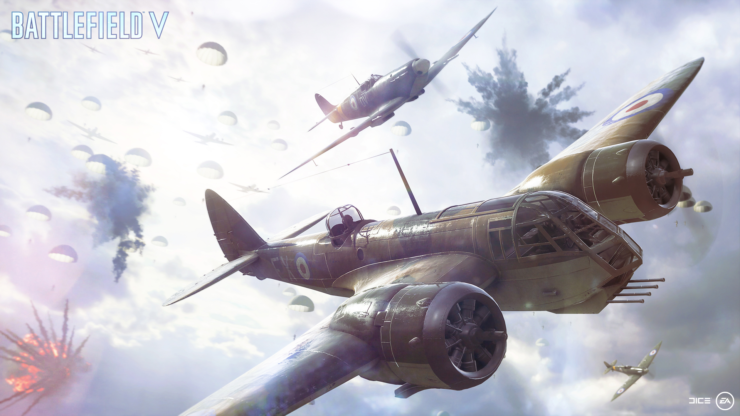 Choose these five Sets from eight available when deploying into Battlefield V.
Below you can find a gallery of the first in-engine screenshots, as well as a brief video interview NVIDIA conducted with Andreas Morell, Senior Producer from DICE.